A Canadian military Hercules transport will soon begin once-a-week support missions for United Nations peacekeeping operations in Africa, the country's top military commander said. 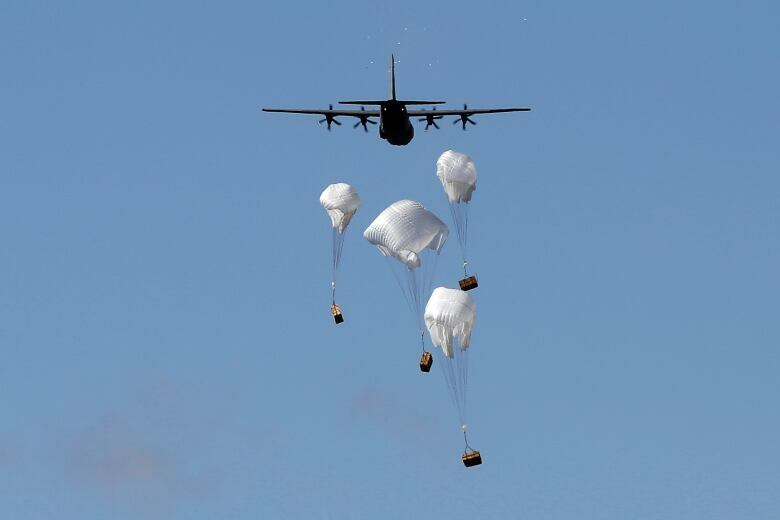 Those flights, by a C-130J, will eventually morph to a full-fledged deployment and deliver on the second in a long list of capabilities promised over a year ago by the Liberal government at a star-studded international conference in Vancouver. Gen. Jonathan Vance, chief of the defence staff, refused to be pinned down to a specific date when asked in a year-end interview with CBC News. His remarks were made prior to last weekend's quick, clandestine trip by Prime Minister Justin Trudeau to visit Canadian aircrew and personnel taking part in the UN mission in Mali. The aircraft being used will split its time between supporting operations in Iraq and flying out Entebbe, Uganda, for the UN. A letter to assist, which sets out the terms of the arrangement with the UN, has yet to be finalized and Vance defended the amount of time it has taken to fulfil what was expected to be an easy promise. "This hasn't been done before," he said. "It's pretty new. This is Canada offering up a capability where there wasn't necessarily a capability before." Usually as peace support operations unfold the UN makes requests for specific military equipment and personnel. 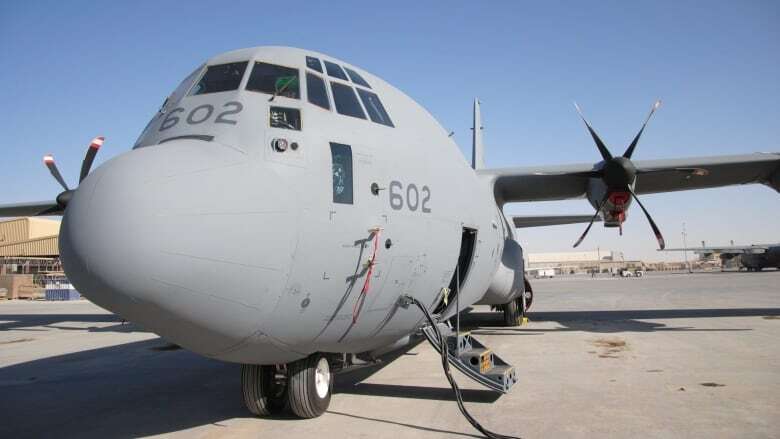 But with the medium-lift cargo plane, Vance said, Canadian planners pointed out to the UN the need for an aircraft to support operations in Africa. "There's always need for air power," he said. There has been frustration with Canada at UN headquarters in New York. After many lofty, high-profile words of political support, the Liberal government has over the last three years turned down a number of specific peacekeeping requests, including mission command posts. A copy of the 2017 list of requests for multilateral peace operations — known internally within government as the evergreen list — was obtained by CBC News under access-to-information legislation. It shows that after being spurned throughout 2016 the UN appeared to scale back what it asked of Canada to only a handful of assignments involving single soldiers or pairs of soldiers, for leadership training or advising missions. Over the weekend in Mali, Prime Minister Justin Trudeau refused to extend the anticipated mid-summer end of Canada's helicopter support mission in the war-torn country. The UN requested the time to cover an anticipated gap between the current detachment and the arrival of the Romanian relief force. He declared the Mali mission to be a success and even suggested it was contributing to the peace process in that country by giving UN operations more certainty. Canada's approach of sharing its expertise and refined equipment is, Trudeau insisted, the best approach. "Part of the way Canada can best help involves coming, taking on an operation, demonstrating how it can be done in the absolute best possible way and helping others gain in those capacities," he said while answering questions from reporters on Saturday. Even still, there remains a long list of unfulfilled promises to the UN, said Walter Dorn, a professor of defence studies at the Canadian Forces College. At the Vancouver conference, the Liberal government promised to deliver a quick reaction force of 200 soldiers for a future peacekeeping mission as well as military training for other less experienced countries that contribute to operations. It also pledged to help get more women involved in peacekeeping through a measure known as the Elsie Initiative. That, Dorn said, is "inching along," with two partner countries, Ghana and Zambia, selected earlier this year, "but I haven't heard of actual progress." Vance said he is working with a three-to-five year timeline, and the initiatives promised in Vancouver were not intended to be delivered all at once.